I stood there, looking at the chaos at my feet. I was surrounded by almost 15 children, each one had their head bowed low, focused intently on the paper a few inches from their faces. We were in Belize. I was there on a mission trip, leading a group of high school juniors and seniors. Our group had brought a huge stack of coloring sheets, each depicting a story from the Bible. That morning, on our way to the village, I had grabbed a handful of sheets and some crayons as we walked out the door, stuffing them into my bag, thinking they may come in handy, who knows? 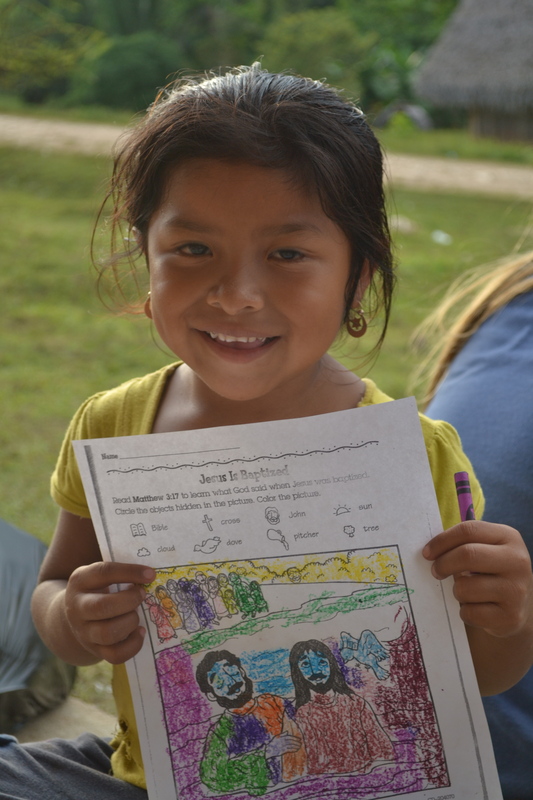 That afternoon one shy little girl in the village, named Maritza, grabbed my hand and asked if we could color or do a puzzle together. I pulled the coloring sheets out of my bag, thankful I had something to oblige her request, and out of nowhere came flocks of kids. Soon busy little bodies surrounded me, coloring furiously. Every few seconds I’d hear a little voice say, “Miss, look what I’ve done. Miss, see? Miss, look at mine.” The Belizean kids where each working on their creations and they were loving it! Some of them were so young that they hadn’t mastered the concept of coloring inside the lines. The drawings were a mass of tangled squiggles and circles. But every time they called out to me, “Miss, look, look!” I would look and tell them just how beautiful their drawings were. And they really were beautiful. Even if they were messy by most standards, they looked pretty wonderful to me. Why? It’s because it was a one-of-a-kind creation that these one-of-a-kind kids had made. After each one of the kids finished, they either wanted to give me their drawing or have me take a photo of them holding their picture. They were proud of the work they had done. It was beautiful and special because they had made it and it came from the heart. I imagine that’s how my life looks to my Creator: a mess at times, far from perfect, but unique and sometimes beautiful. And I think it’s pretty special too. It’s mine, my one work of art, a blank picture with a wide array of colors to paint with. He’s given me my canvas and my tools and said, “Go. Create something beautiful. Make me proud.” And that’s just what I intend to do.